The rapidly changing terms of international trade has knocked down almond prices. This must obviously be happening across the board in other commodities. The swings are big enough to force decissions. Add in the collapsed oil market likely to be with us for at least another year and suppliers will be looking for an adjustment down in costs as well. all this makes market prediction very dicey. Ye almond-loving hipsters, rejoice! The revered—and lately quite expensive—nut is likely to get cheaper soon. The wholesale price for almonds—the one paid by supermarkets to stock their bulk bins, or by processors to make their trail mixes—has fallen from a high of $4.70 last August down to $2.60, reports the Financial Times. And the reason has nothing to do with a viral screed against almond milk penned by a certain wag in 2014. Rather, it's the same set of forces that triggered California's massive almond boom in the first place: the vagaries of global demand. The state's growers, who churn out 99 percent of almonds grown in the United States, have rapidly expanded their almond groves over the past decade and a half. But that expansion didn't happen just to satisfy your trendy almond-milk latte habit. California farmers are almond growers to the world: They supply about 80 percent of the almonds consumed globally, and export demand has risen steadily for most of the past 15 years. About 70 percent of California's almonds are exported. According to the Almond Board of California, the great bulk of this massive outflow goes to Asia, the destination of 44 percent of California's almond exports, and Western Europe, which gets about 40 percent. As a result of that booming global demand, the price farmers get for almonds has risen dramatically despite the big acreage expansion. Last year's surge in prices depressed demand, and buyers in China, the Middle East and India, who have led consumption over the past three to four years, have disappeared. Trading has ground to a halt as prices continue to decline and the number of rejected containers by buyers refusing to honor contracts has jumped. "It's a bloodbath," one California-based nut trader told the Financial Times. What happened was that California's multiyear drought took a bite out of crop yields, making almonds more scarce and pushing up their price. And then, in 2014, the US dollar began to rise in value against major Asian currencies and the euro, making US exports, including almonds, even more expensive in those regions. "It's a bloodbath," one California-based nut trader told the Financial Times. To make matters worse, the European economy stagnated, and China—the globe's biggest almond importer—saw its economic growth slow and its stock market tumble. 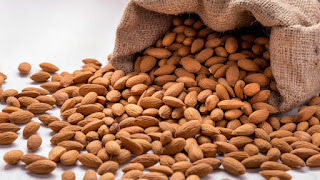 Snack makers in Asia and Europe began to balk at pricey almonds, putting fewer in nut mixes and reducing the portion size of almond offerings, the FT reports. In 2015, almond exports to Asia and Western Europe fell 12 percent and 7 percent, respectively, according to the Almond Board of California. And now, with a historic El Niño triggering a wet and snowy winter in California, the market expects a big harvest in 2016. Econ 101 tells us that abundant supply and weak demand means lower prices going forward. That likely means you'll soon be getting at least a slight break on that bag of salty roasted almonds you keep at your desk. But what does it mean for California's almond boom? During the drought, water from California's massive irrigation projects, which deliver melted Sierra Nevada snow to the state's farms, was largely cut off. Farmers responded by fallowing a portion of annual crops like cotton and vegetables and irrigating the rest—including their ever-expanding almond groves—with water drawn from finite underground aquifers. While the current El Niño might spell the end of a drought that has haunted California since 2012, California agriculture has gotten so ravenous for water that aquifers in its largest (and most almond-centered) growing region, the Central Valley, have been declining steadily for decades. For my deep dive into the almond boom last year, I asked David Doll, an orchard adviser with the University of California Cooperative Extension, how long growers could keep devoting ever more land to almonds despite the long-term water crunch. He told me it would only stop "when the crop stops making money." If the Asian and European appetite for almonds returns to normal growth rates, the almond boom will likely continue unabated. I checked back in with him to see what he thought about the current price drop. He said under normal conditions, when water is flowing from the state's irrigation projects, the break-even farmer price for almonds is about $1.45 per pound—at that price, farmers neither lose nor make money. But when water is scarce, farmers face higher irrigation costs, and the break-even price rises to somewhere between $2.60 and $2.85—roughly where prices are now. So even with the current price drop, most almond growers are breaking even. But if we get another wet winter this year, water prices could drop by 2017 and almond farmers will be right back to profitability. 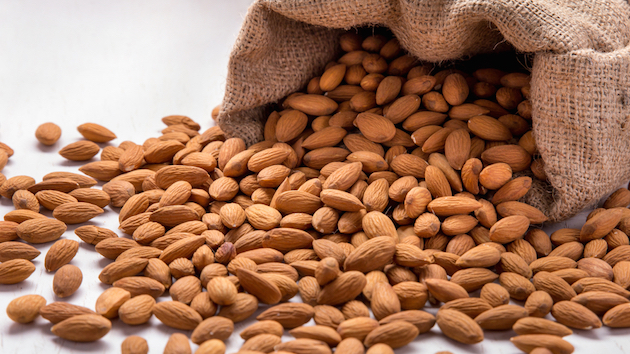 If the Asian and European appetite for almonds returns to normal growth rates, Doll added, the almond expansion will likely continue unabated, which will in turn limit large upward price swings as supply rises to meet demand. The limiting factor, of course, is water. Back in 2014, California shook off a history of Wild West aquifer stewardship and passed the Sustainable Groundwater Management Act, which requires that by 2025, the state's aquifers can't be drawn down faster than they're recharged—a dramatic reversal of the status quo. "From my observations, there are many [almond] operations that are not planning for this policy," Doll said, meaning they're not prepared for a future when aquifers can't be tapped at will. But 2025 is nearly a decade away. Enjoy those relatively inexpensive almonds, you ignorant hipsters.